If it is the battle between fried chicken then the overall winner will most probably be - Max's. 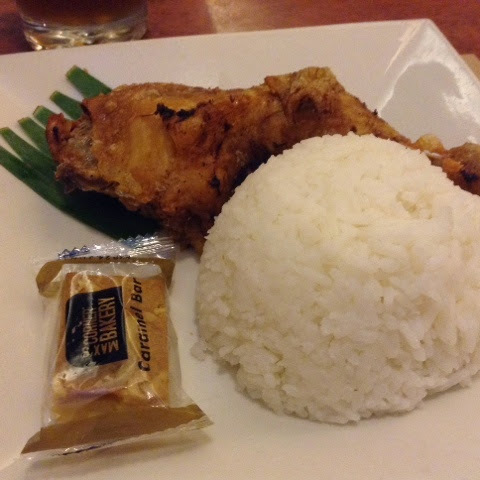 I love Max's Fried Chicken not just for its crispiness but also for its flavor. I love how it tastes so good with or without the sauce. It can actually be counted as a comfort food if and only if it sells for a low price. Last night, I had this craving of mine for Max's chicken so I decided to have my dinner at a near Max's reaurant from the office. I am used to dining alone so that night is just an ordinary one for me. My usual order will be their Basic Meal Set which has a quarter of fried chicken, rice, caramel bar and iced tea. 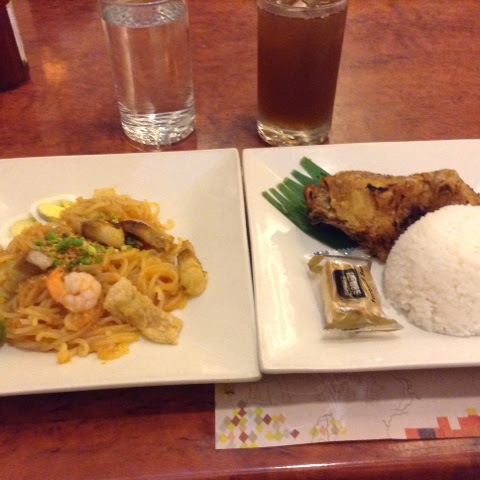 This is for only 160pesos and is a good meal to satisfy this cravings of mine. 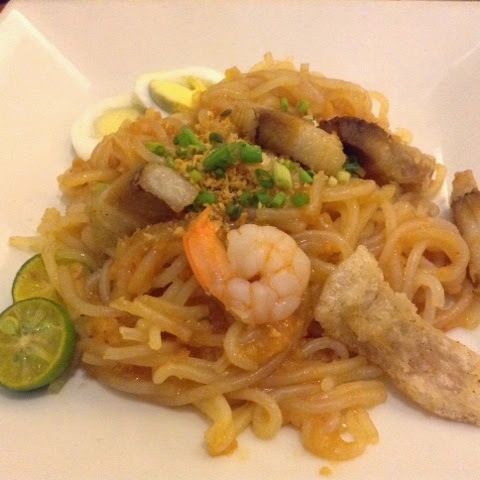 I also ordered the solo of their Pancit Luglog for it is my favorite taste of palabok ever. This is truly a flavorful and something to look forward to combo meal. The rice is big enough for me. I didn't order extra rice because I still have my Pancit Lulog. I also love the fact that most Max's Restaurant have WiFi so it gives plus pogi points to the venue. That's it for my post everyone. Hope you have a good day.